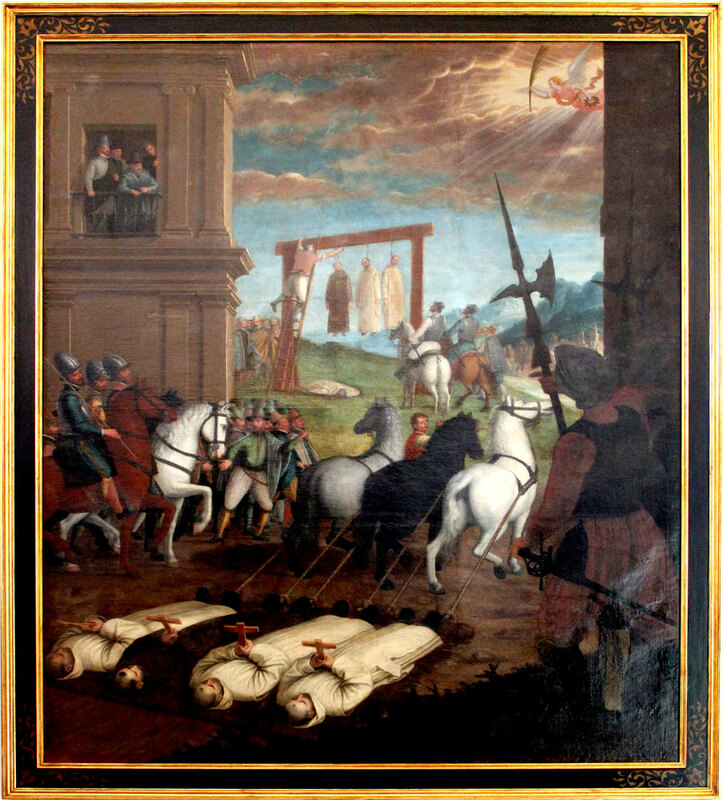 “On the xix day of June, three monks of the London Charterhouse were hanged, drawn and quartered at Tyburn – their quarters set up about London for denying the king to be supreme head of the Church (*). Their names were William Exmewe, Humphrey Middlemore and Sebastian Newdigate (**). These men were arraigned at Westminster and had behaved themselves very stiffly and stubbornly. When they heard their indictment read about how traitorously they had spoken against the King’s Majesty, his crown and dignity, they neither blushed nor bashed at it, but very foolishly and hypocritically acknowledged their treason which maliciously they announced, having no learning for their defence, but rather being asked many questions, they used a malicious silence, thinking as by their examinations afterward in the Tower of London it did appear for they said they thought those men, which was Lord Cromwell and others that there sat upon them in judgement, to be heretics and not of the Church of God, and therefore not worthy to be either answered or spoken unto. And therefore as they deserved they received as you have heard before”. 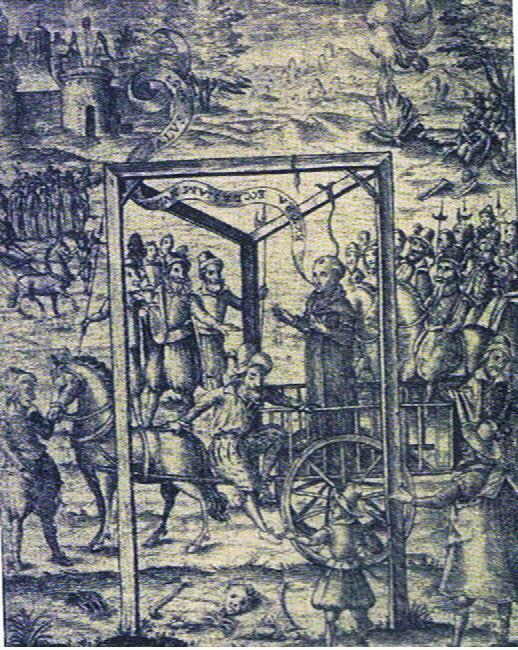 (*) See also May 4th posting on “The martyrdom of John Houghton, the Prior of the London Charterhouse”. (**) Newdigate was a personal friend of the King, Henry VIII, but refused to take the oath acknowledging him as the supreme head of the church, despite being implored by him to do so, on two separate occasions.